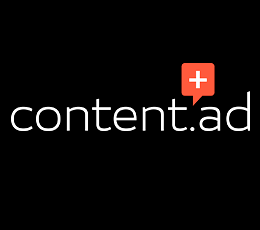 CONTENT.AD Native advertising network details. Conten.ad has 10 years of experience in online marketing, distributing premium sponsored content and driving target customers to your ‘doorstep’. We are among the first companies sucessfully to provide content marketing services to online advertisers at scale and developed one of the biggest native sponsored content networks all over the world. With Content.ad, branded content is seamlessly integrated into web publishers’ environment, promoting performance, profits and online users’ experience for advertisers, publishers and consumers. Also, our publishers really enjoy one of the highest earnings rates in the industry with regular and reliable payments. You can check Conten.ad reviews on Affbank and ask Conten.adTeam any question by using the contacts above, especially about how to earn money! hey I like work with contentad! But also I miss taget options. As for the rest - good traffic source!! would like to share my experience about it.It is a good ad network for tier 1 geo.Nothing special with content requirements, in general like in every native network.